This is the sign-up thread for Season 3 of the AOR Oceania F1 Leagues, sponsored by Hype Energy Drinks. Sign-ups are now open for Season 3 on F1 2018! Please only sign up if you are fully committed to completing the whole season. The initial sign-up deadline is set to 19th September @ 23:59 (AEST). You have to complete the full sign-up process before this time to be included in the initial league placements. Sign-ups after this time will only be added to the leagues if there are still spaces available. Welcome to Season 3 of the Oceania AOR F1 Leagues! After 2 successful seasons on the Codemasters F1 games, we are heading into our first season on the F1 2018 game. It doesn't matter how fast and experienced you are - with our tiered league structure we welcome drivers of all skill levels to join the fun. All we require is that you are committed and that you've got the mindset of clean racing. In the case of more than one league being set up on a platform, the top league will challenge the fastest drivers with no driving assists allowed, while drivers in the lower league(s) may use some assists. The Oceania leagues are designed for drivers located in Oceania, and nearby drivers with a strong enough connection towards eastern Australia. We also have separate leagues for the European region and the American region. The social race section can be used to organise your own one-off races or join races organised by our members. ● League structure: Each platform runs a set amount of leagues, depending on the amount of drivers signing up at the start of the season. In the case of multiple tiers on a platform, the leagues will be tiered, with the aim to have the faster drivers in the higher leagues and the slower drivers in the lower leagues. More detailed info on how the leagues are set up can be found in the info thread. ● Assists: In the case of more than one league on a platform, the top league will have all assists banned, while the lower leagues will allow some level of assists (TBD). In the case of only one league on a platform, the assists will be determined based on the requirements of the drivers who have signed up. ● Driver placements: Drivers will be placed in an appropriate league based on their time trial times, and to some extent performances in the previous league season (for drivers who raced in Season 2). Drivers who have signed up to Season 3 are listed below. ● Speedtest result: (Below is WIFI) XBOX is Ethernet with better connection. 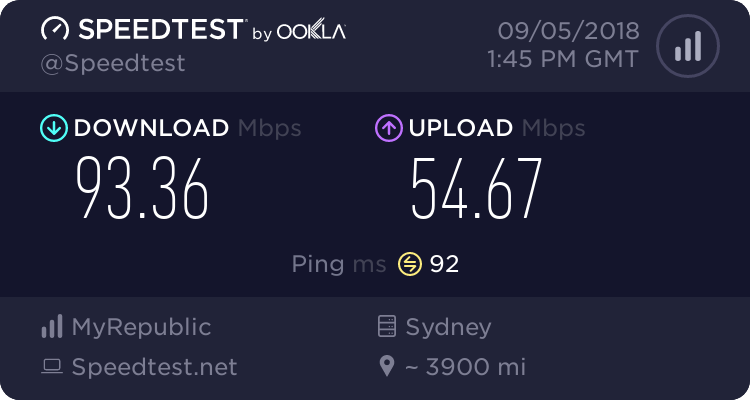 ● Speedtest result: TBA, expecting nbn connection within next few weeks. Will post once setup.